Officials for the City of Los Angeles were excited to announce a new food waste grant competition at the first ever Food Day LA event at City Hall as part of the City’s ongoing efforts to divert waste from landfills. Project categories include food waste prevention, food donation, upcycled use (including animal feed or fuel) and composting. The total grant pool is expected to reach $100,000 and includes both administrative, and project grants. Ten projects to be submitted from members of the public will be selected. All Food Waste Grant Challenge proposals are due December 8, 2017. Awards will be announced in mid-December, with a target start date of all projects on January 22, 2018. 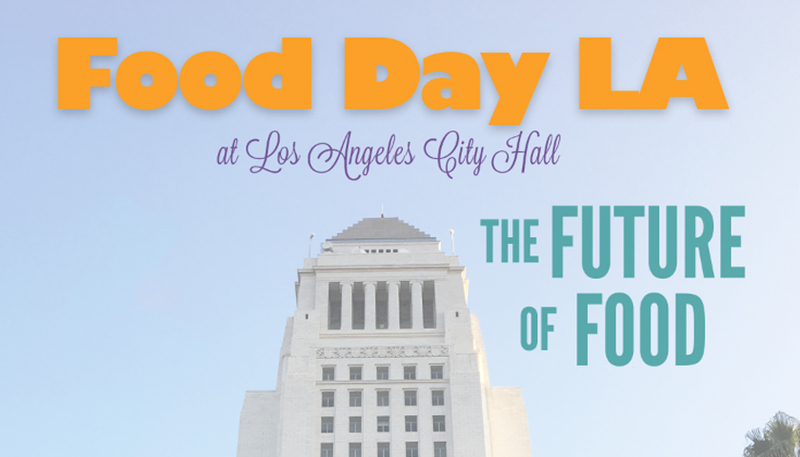 Food Day at City Hall was presented by the LA Food Policy Council, and also included a Food Day resolution in City Council Chambers, reaffirming Los Angeles’ commitment as a city to create a good food system for all. A Future of Food showcase on the South Lawn also featured innovative projects and the release of the new Good Food for All agenda.